One of my favorite thing to do is decorate for a party. I don't get to do it nearly as often as I'd like, but when I get the chance I definitely go all out. I just love the entire process, and it's so satisfying to see my vision come to life. 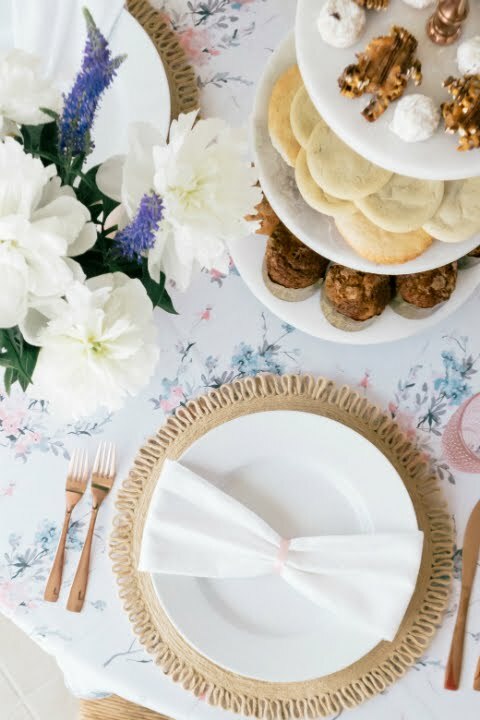 Spring brunches are my absolute favorite because I can go a little crazy with the florals and pastels. 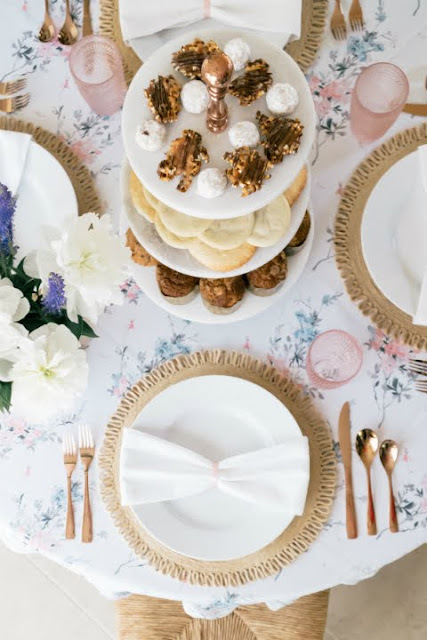 I am so excited to share my brunch table with you guys, along with my 5 essentials for the best girly brunch ever! 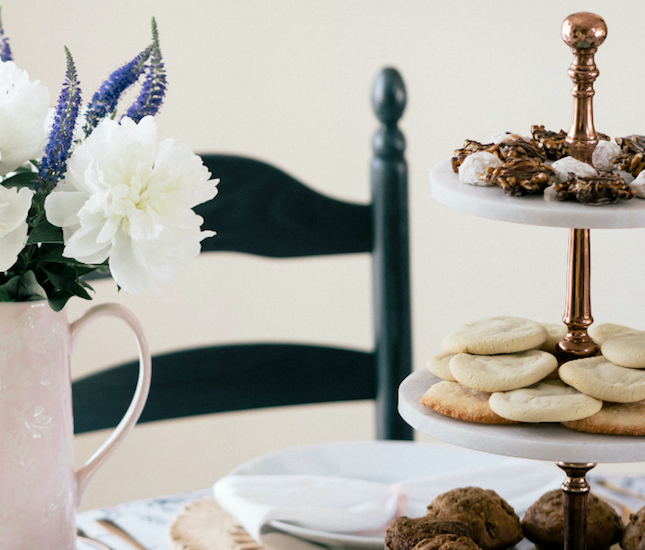 What would a girly spring brunch be without fancy pastries? 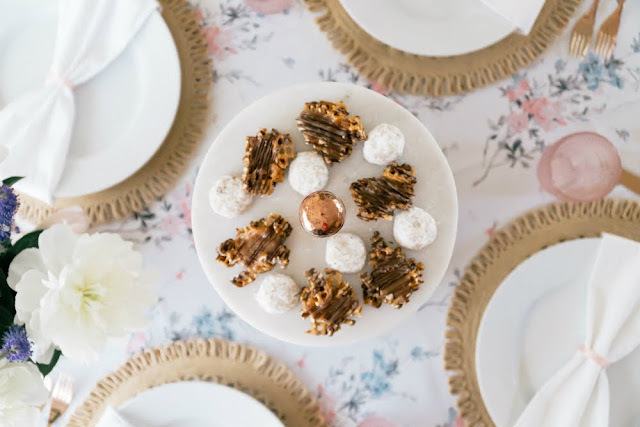 Of course, you’ll need a bit more than just that in terms of food, but it’s always nice to wow your guests with a pastry stand full of pretty treats to start off the morning! I am not exactly a baker, so I usually get my pastries from Ravelin, our local bakery. When you spend as much time as I do on presentation, sometimes you gotta let someone else do the baking! Plus, I am 100% sure these are better than anything I could ever make. 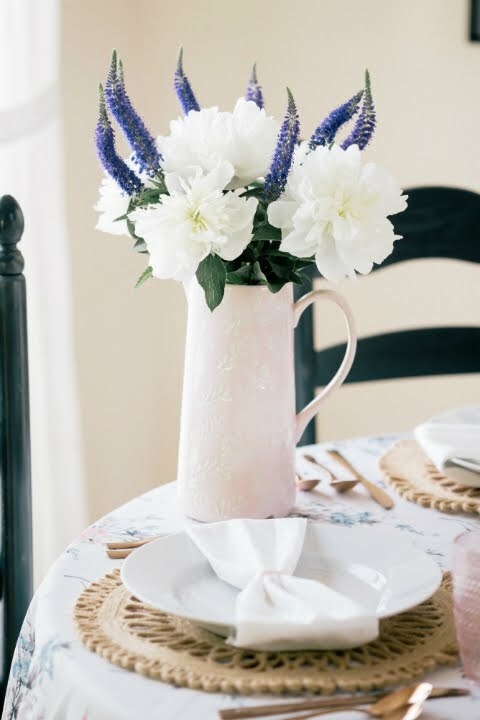 What would a spring brunch be without fresh flowers? 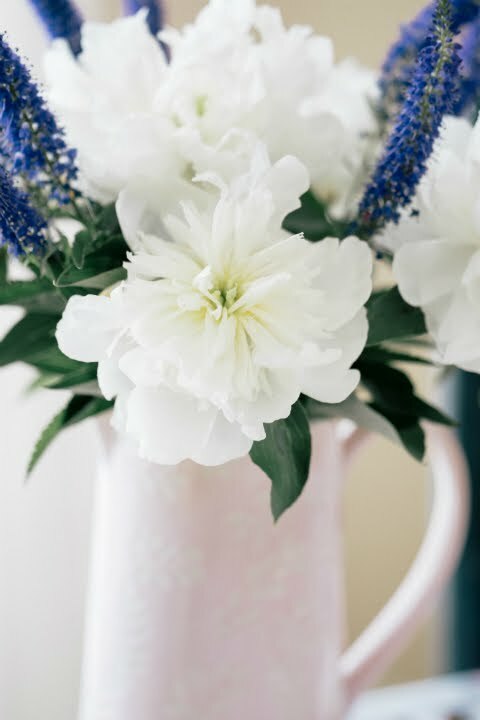 I LOVE these white peonies, and the lavender adds the perfect pop of color. Although I picked these up at the grocery store, I am hoping by next spring I will have my very own garden to clip from. That’s the plan, anyway! I typically use my vintage milk glass vases any time I have fresh flowers in the house, but I also like to use pretty pitchers from time to time. I found this pink one at Home Goods (which, by the way, has the absolute best selection of ceramics and glassware). It’s always nice to set the mood for guests before they walk through the door. You don’t need to have the most luxurious house on the block or have an interior design degree to make a space look and feel elegant. Tasteful decor, joyful music, and lots of natural light can really transform a room. Pull back the curtains and let the sunshine in! The delicious smells of the food and flowers and will also add to the ambiance. If it’s a particularly nice day, you could even opt for an outdoor space like a balcony or patio. For this table, I kept the place settings simple and classy. There are so many fun ideas out there on Pinterest, but you don’t have to make it complicated. 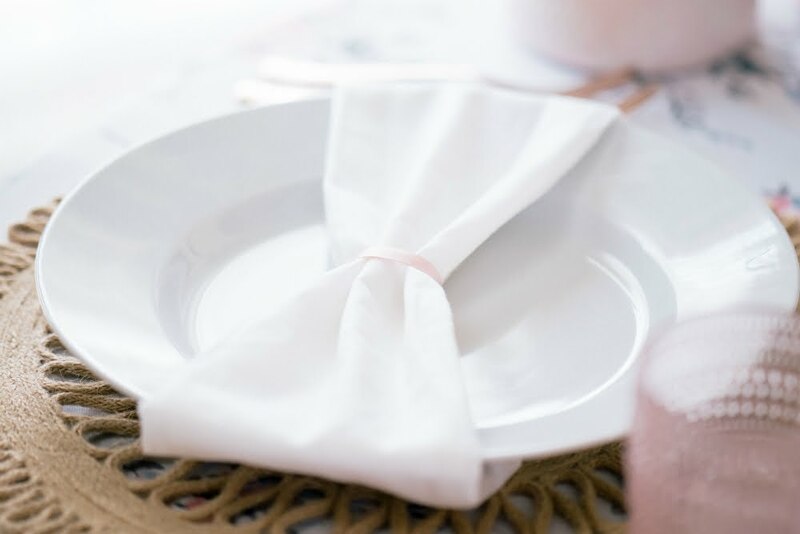 This bow-tie napkin is so cute and super easy to do — just tie the middle with a ribbon and tuck the ends of the napkin under the plate. 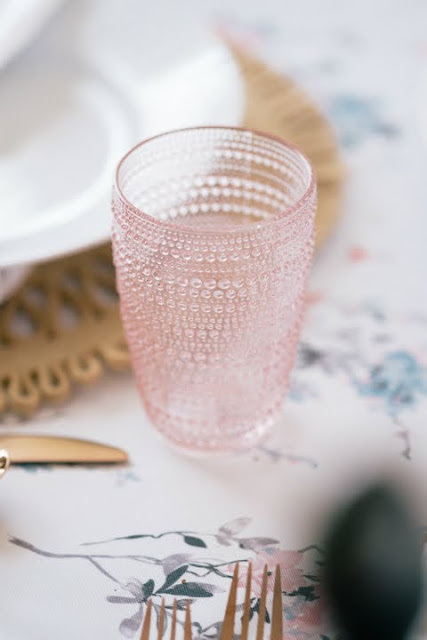 It’s a dainty little detail that will add an extra girly touch to your table, along with these pink hobnail tumblers and rose gold flatware. I almost always use white dishes because I love the crisp and clean look. 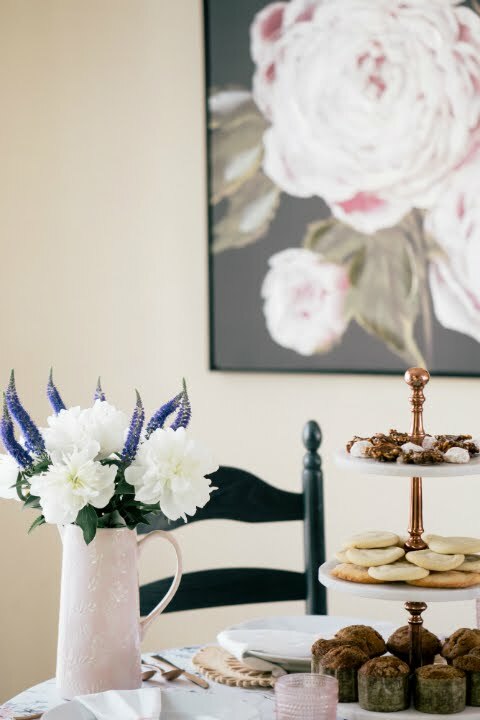 These plates are from the Pottery Barn Great White collection, and they’ve been going strong for 11 years now. One of the best purchases I’ve ever made! I get so much joy from putting together gift baskets. While I don’t think gifts are an absolute must, it’s always fun to give your guests a little something to take home. 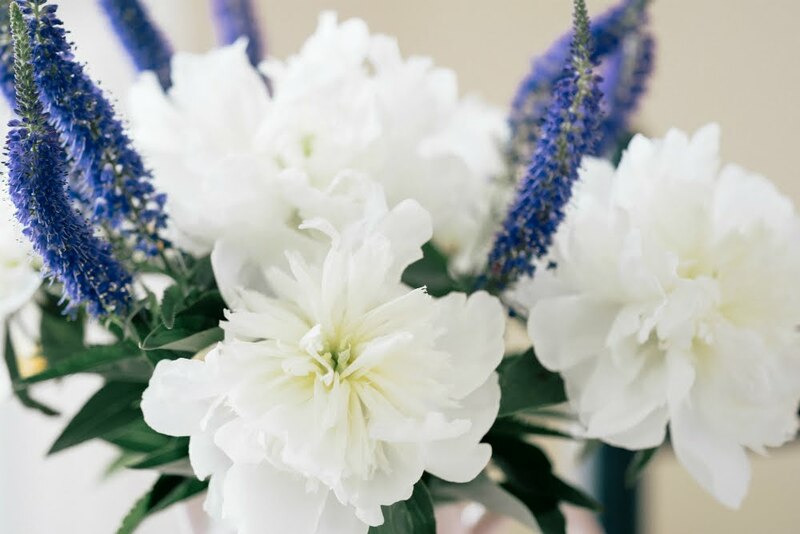 It could be as simple as a packet of flower seeds in a little pot, or a floral-scented sachet. 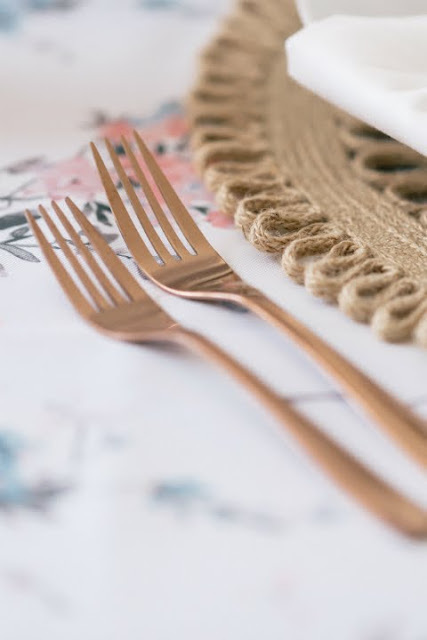 It’s details like this that are so much fun to plan, especially if you are like me and enjoy getting creative. 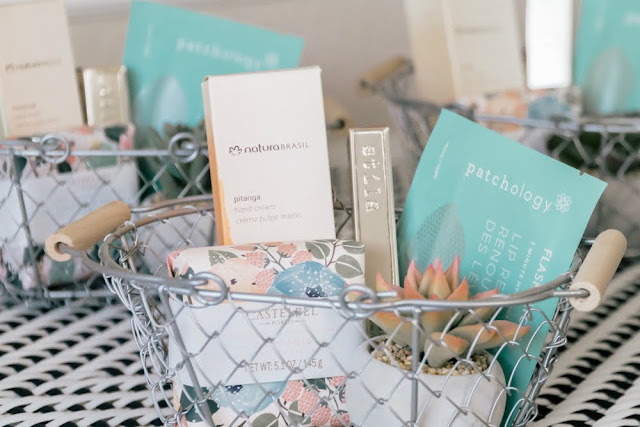 These baskets include a few things that I love from Patchology, Stila, Natura Brasil, and Castelbel. 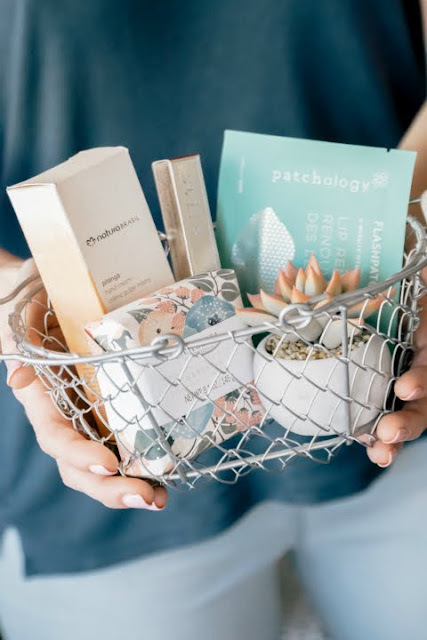 It’s a nice way to share products that you personally love with your girlfriends, and maybe even introduce them to their new favorite brand!